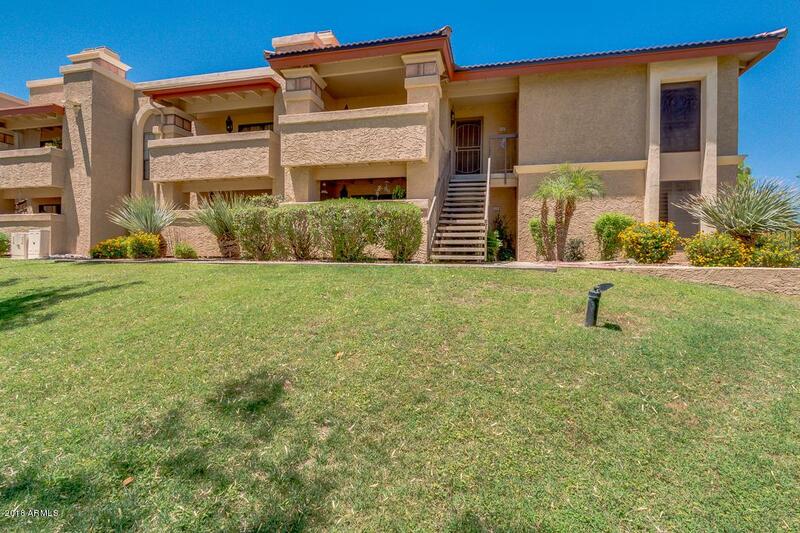 Come see this stunning condo with tons of upgrades located in the gated community of Pointe Tapitio with lots of resort like amenities. You'll love the split master floor plan with 3 bedrooms + 2 bathrooms, new wood-look tile, neutral paint, and ceiling fans throughout. 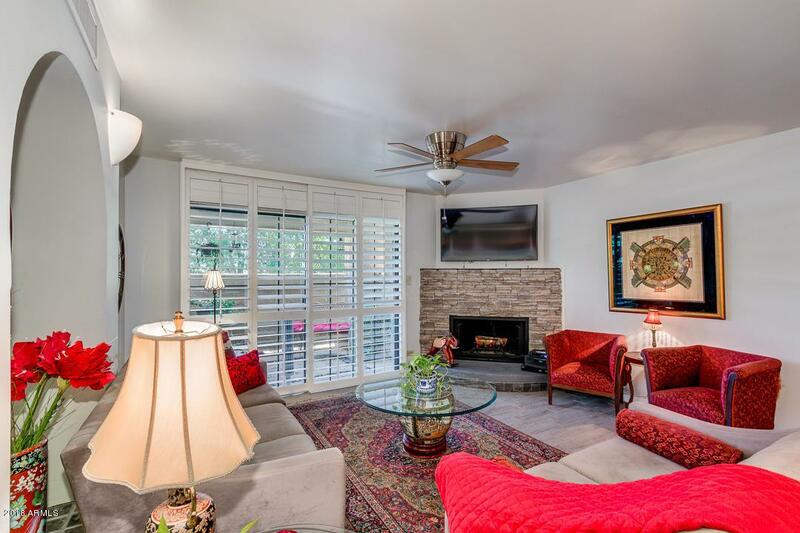 Great room with stone fireplace to enjoy during the cooler months, & exit to private covered patio with mountain views. 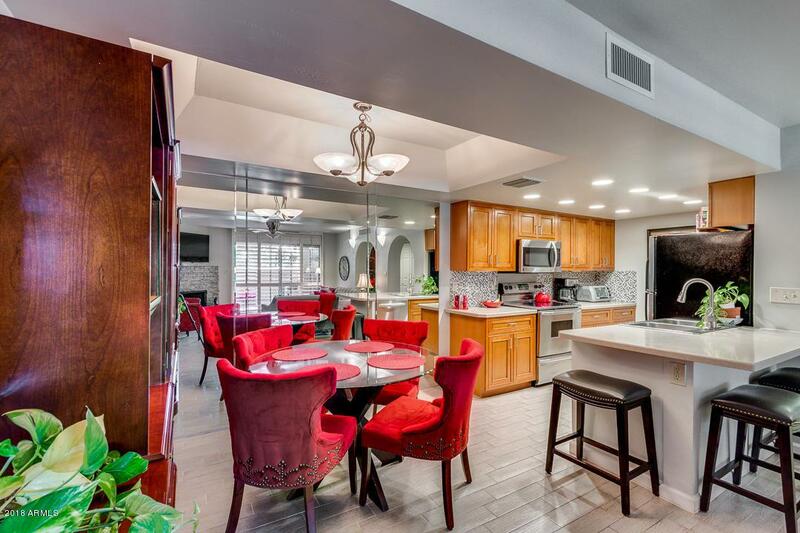 Eat-In Kitchen with breakfast bar on large island, stainless steel appliances, tile backsplash, plenty counter space and cabinetry. Expansive master suite with sitting area and a private 2nd patio This unit is located on greenbelt with spectacular mountain views and is close to 3 community pool + spas! The community has BBQs, tennis and basketball courts. This is a must see property! !en-suite bathroom and large closet. Bedrooms 2 & 3 are of good size, plus guest bathroom is well appointed with tub/shower combo. Washer and dryer included, 2 assigned parking spaces. 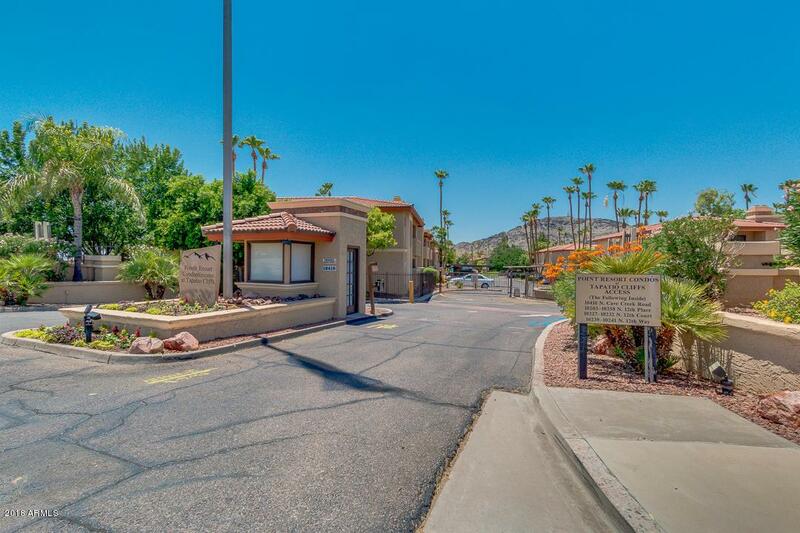 Quick access to 51 & I-17 freeway, centrally located close to lots of great shopping, dining and entertainment!